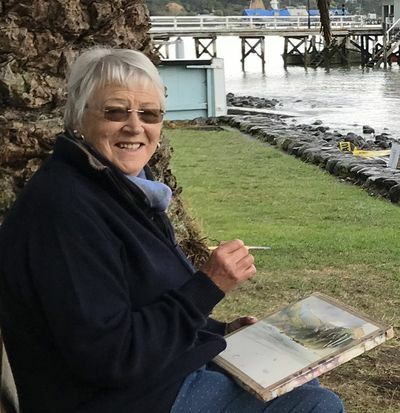 Growing from a small group of artists in 1975, Watercolour New Zealand is this country's only society dedicated to the appreciation and promotion of watercolour painting. We have a diverse range of watercolour talents, and members, both professional and amateur, number about 450, take part in yearly events including workshops, critiques, painting days and major exhibitions. Whether artist, student, art lover or collector you will find much of interest here. The society is based in Wellington but new members from throughout New Zealand are welcome.